Baffled by all the choices out there to capture good sports betting information, accurate scores and current odds? We’ve got you covered. 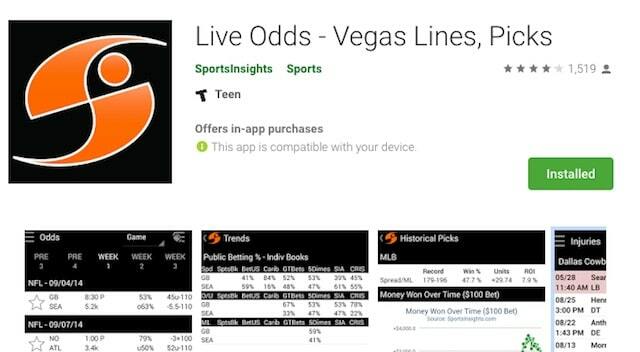 Whether you’ve got an Android or iPhone, there’s plenty of options for ways to track and log all the information you’ll need to make educated sports bets. 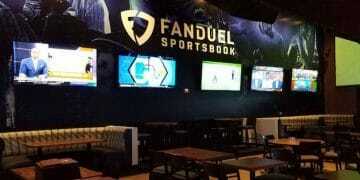 Let’s dig in for your reading and sports betting pleasure. From the team that brought you RotoGrinders comes a free, interactive sports-betting app called SharpSide. The SharpSide sports-betting app is a one-of-a-kind, state-of-the-art application that caters to sports bettors who are looking to have a fun and profitable betting experience. Through the SharpSide app, you can easily add your favorite bets with just a single swipe, find or post helpful nuggets of advice, track the best bettors, and compete with fellow community members on leaderboards. Who It’s Best For: The SharpSide sports betting app is perfect for bettors of all levels, which is one of the big reasons it’s rated so highly. The app is especially great for casual sports bettors looking to enhance their wagering experiences and do so among a free, insightful community. With its easy-to-use functionality, users can efficiently scroll through all games and available bets and quickly swipe left or right to make picks. The advice nuggets available from expert sports bettors can provide valuable insight for free, and users can also leave advice of their own, giving them a voice within the community. SharpSide leaderboards allow users to see who the best bettors in the community are across a wide variety of sports and bet types. Through the app’s bet tracking, bettors of all levels can monitor open bets and analyze past performances by sport or bet type. Furthermore, members of the SharpSide community are encourage to check out all of the free content available on SharpSide.com, where knowledgeable experts cover a wide range of sports to help everyone raise their game to the next level. This free app provides one-stop shopping for the latest sports information, scores, and odds. theScore delivers real-time scoring updates, real-time alerts, breaking news, the deep in-game stats, videos, and social content. Covering everything from the four major pro sports to pro soccer and more, theScore boasts an easy-to-use interface. Who It’s Best For: A great app for the everyday sports fan trying to get all the latest news about his or her favorite sports team/league. It provides very fast updates to keep fans up-to-date on the latest news in sports info, plus odds and totals for popular U.S. sports as well as European gambling odds (soccer). Live Scores and Odds aims to get bettors the best line in the market. It has a simple display and easy-to-use interface. Simply touch and hold to create alerts or favorites on games. 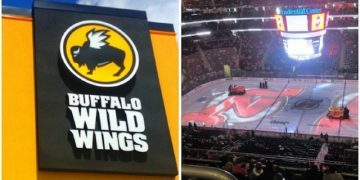 If you are looking to track a game all you need to do is pick the league of the game from the left hand drop down, the date for which the game is being played on, and then the type of bet you want to track (money line, totals, etc.). Then Live Scores and Odds will provide you with up to the minute odds from 20 of the top web-based sportsbooks — offshore for now, so we will be looking for updates with odds and lines from legal markets such as in New Jersey and Pennsylvania, where both FanDuel Sportsbook (review here) and DraftKings Sportsbook (review here) have or will soon enter. To wit, Live Scores and Odds claims that they can provide the consumer with a better “vig” (or the charge from a bookie) than available at any land-based casino. 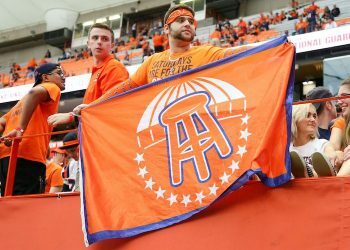 Live scores and odds for all NFL, NBA, MLB, NHL, CFL, MLS, EPL, Division I NCAA football and men’s basketball games. The complete line move history for point spreads, money lines, and totals. Access to free and paid picks from some of the top handicappers in the industry. Who It’s Best For: This is a great app to get the best lines for a game. This app provides the consumer with a slew of sports betting information such as the move in money line and totals, the multiple lines put out there by books, and more! 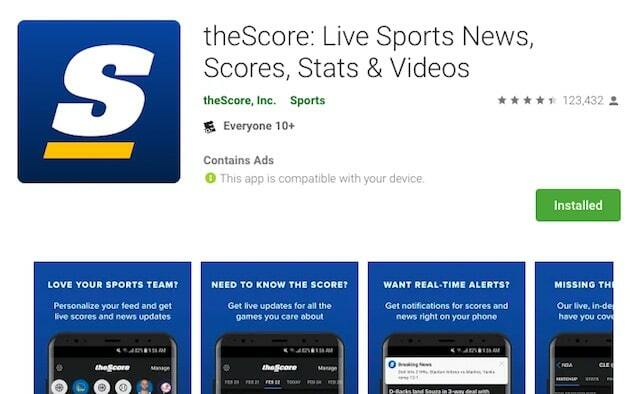 The one drawback to this app is that it does not provide the consumer with the most up to date sports news and information, but that can be easily obtained from one of the above apps. If you are a big time bettor, then this is a great app to add to the repertoire. Rated 4.7 out of 5 from 86,466 reviews, this app has much of what you would want from a mainstream media outlet. The interface is easy to use and you can customize what info you want to see and track. This is the fastest sports app to send push notifications for scores, stats, news, and tweets. And it’s free. The ability to tune into CBS Sports Radio. Who It’s Best For: The average sports fan who wants to track his or her favorite sports team. 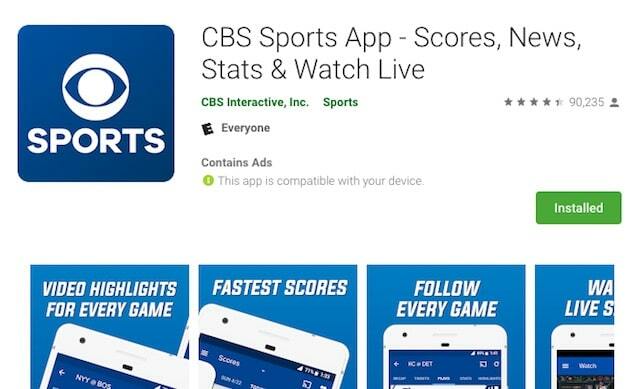 The CBS sports app is a great place to gather your scores and news from, but from a pure sports wagering perspective, one of the other apps referenced herein might work better. 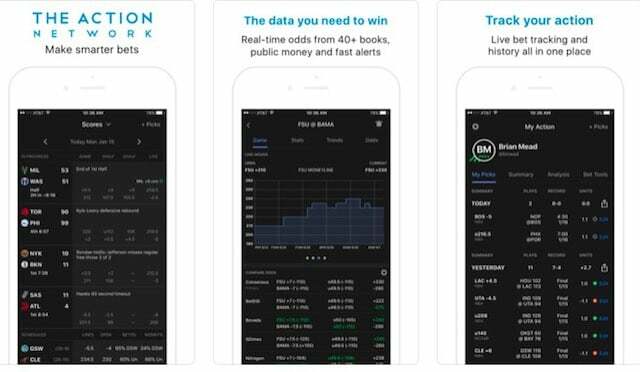 Marketed to “make smarter bets” and created by the Action Network in 2018, the app tracks real-time scores, odds, and your picks. It also provides real-time lines during live games. You can test drive the app for free or upgrade to the Pro version ($9.99/month) or Pro Plus version ($29.99/month) if you’re a more serious bettor. Key team and league trends against the spread. The Pro Plus includes some additional bells and whistles such as parlay and teaser tracking and Advanced line move alerts. 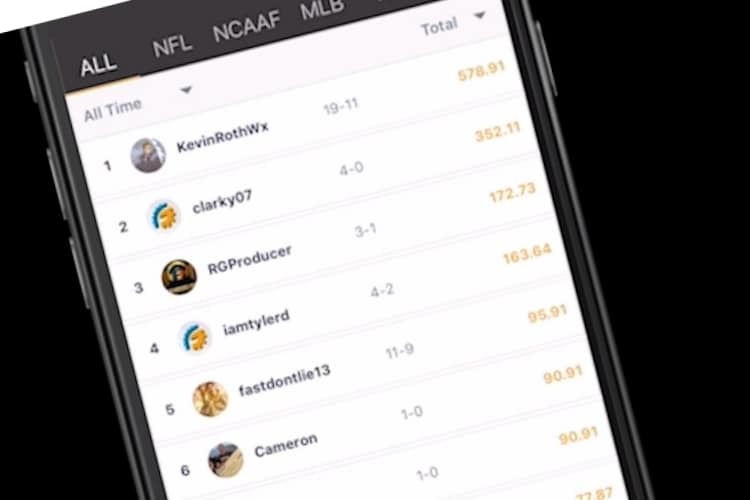 Who It’s Best For: Frequent sports bettor will like this app, as it tracks and logs all of your bets while providing score updates and analysis. 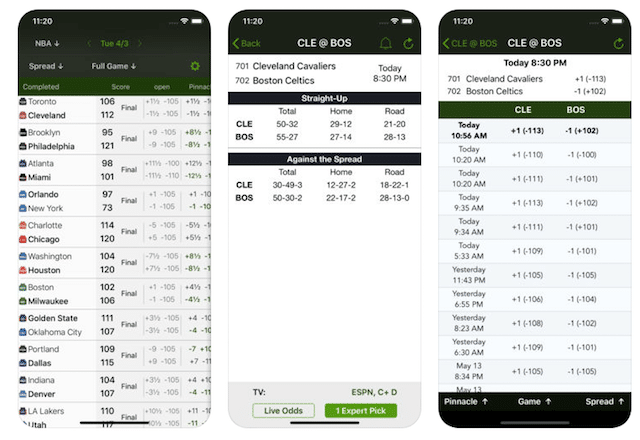 Billed as “the betting app for smart bettors,” this app provides free odds, lines, spreads, over/under, totals, scores and breaking injury reports. 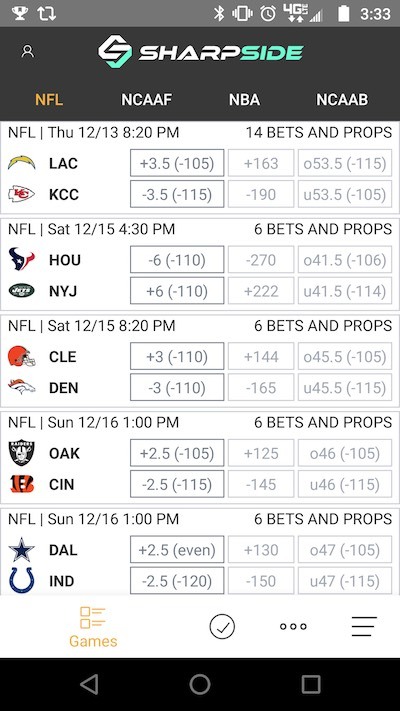 What makes this app unique is that you can see how the public is betting each game via a percentage on the app. First half and Second half betting data. The app also has picks for sale, if you are so inclined. Who It’s Best For: Experienced bettors will appreciate public betting trends from seven sportsbooks. But the app can be complicated to navigate and novice bettors may find the lingo tough to understand.